Situated on a picturesque foreshore in the upmarket suburb of Mosman, you will find the trendy 'must visit' Balmoral Boathouse cafe. Previously a 'hole in the wall' coffee and muffin stop for T/shirt, swimsuit and jogger clad outdoorsy types of all ages, the Boathouse now attracts a broader market. Young entrepreneurs with iPads and laptops, glamorous gals doing lunch, mums and bubs having time out, retirees with the morning newspaper, and fitness fiends renting boats, or drying off after a jog or swim. They're all there. It's perfectly located, the view is spectacular, the atmosphere is gorgeous, the decor welcoming, the food delectable, and there's such a buzz to the place. Food is chosen from a blackboard menu above the counter where you pay. This gives you time to peruse the delectable fare and flowers sold here. It is delivered to your table, and extra coffees can be ordered from staff, or from coffee stations positioned within the cafe. Seating is indoors at individual or communal tables, or on the wraparound deck. 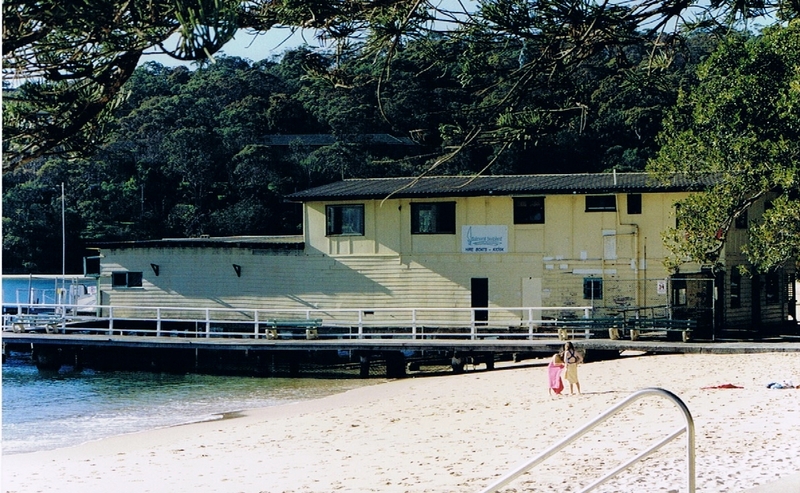 The Boathouse boat shed has been home to many an eatery, but this one will leave you with something to talk about. I love how everything is presented, especially the frying pan plate. This place looks gorgeous, can't wait to try it! Thanks Briony. No matter which way you look, everything is so nicely done. We visit Sydney every year and the Boat House is always on our list ... Sometimes more than once :))) The food and ambience plus the location are an absolute winner !